A new book shatters myths about art theft. The Concert by Johannes Vermeer (1632-1675). Now missing, it is one of only 34 verified Vermeers. Every day when he goes to work at Boston’s Isabella Stewart Gardner Museum, Anthony Amore, M.P.A. ’00, sees an empty frame on the wall. 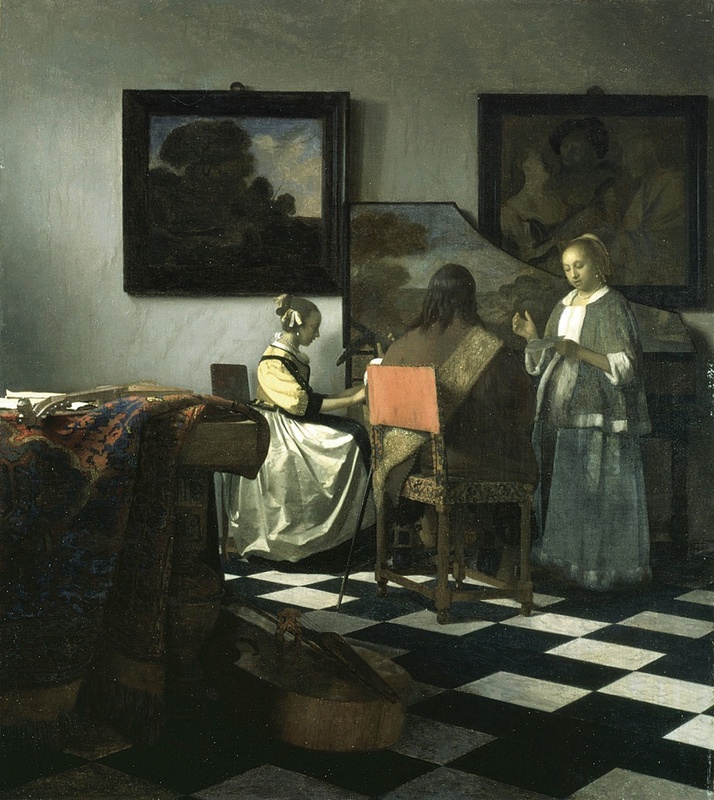 It used to hold Johannes Vermeer’s The Concert—one of 13 paintings stolen from the Gardner in the early-morning hours of March 18, 1990, when thieves posing as police officers got inside, subdued the guards, and made off with a haul including a Monet, three Rembrandts, and The Concert (which Amore calls “the white whale of all missing paintings”). The stolen works have a total estimated worth of around $500 million, making the robbery the largest property theft ever. Amore, a longtime security expert for the federal government, had previously directed an overhaul of security at Boston’s Logan Airport after the September 11 terrorist attacks. Upon taking the Gardner job, he began studying the history of art theft and discovered it’s more Jersey Shore than James Bond. In contrast to the image of suave billionaires employing high-tech schemes to steal paintings, the reality is clueless yokels hiding Rembrandts in the hayloft of a pig farm—or thieves driving off with a canvas on top of a station wagon, only to get caught when they bragged about it in a bar afterward. 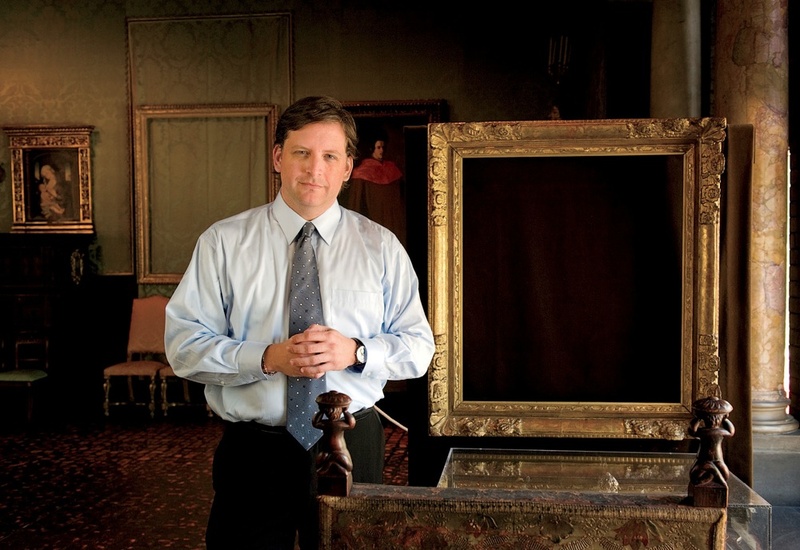 Eventually, Amore accumulated enough tales to fill his 2011 book, coauthored with Tom Mashberg, Stealing Rembrandts: The Untold Stories of Notorious Art Heists. On rare occasions, thieves actually get away with it. Amore selected his book title because Rembrandts are among the most frequently stolen artworks (“They’re the perfect storm of value and name recognition,” he says). One of the book’s more colorful stories is the case of Myles Connor, a Massachusetts con man in trouble with the law in 1975. Told by a district attorney that he could help his cause by recovering a stolen Rembrandt, Connor stole one from Boston’s Museum of Fine Arts, hid it for a time, and then delivered it up and got his deal. He never admitted he was the thief until writing his autobiography years later. “That’s the best example I’ve found of art being stolen as a get-out-of-jail-free card,” Amore says. More often, however, art theft doesn’t pan out even when thieves can overcome their own ineptitude, because masterpiece paintings are as impossible to sell as they are valuable. As Amore puts it, art thieves are stealing problems, not paintings. About a month after Stealing Rembrandts was published, a Rembrandt sketch was stolen from an exhibit in Marina Del Rey, California. After a publicity blitz that included Amore doing radio and television interviews in which he urged the perpetrators to give the sketch up because they’d never be able to sell it, the work was anonymously returned. But no such luck on the 13 Gardner paintings, at least not yet. They’ve been missing for more than two decades and Amore is still working on the investigation every day, running down leads and “making the haystack smaller.” Someday, he vows, that needle will turn up, which is one reason he has thus far put off suggestions that he write a book devoted solely to the Gardner theft and investigation.